Supplement To The Cincinnati Illustrated News -- Grand Exposition Number, August 21, 1886. 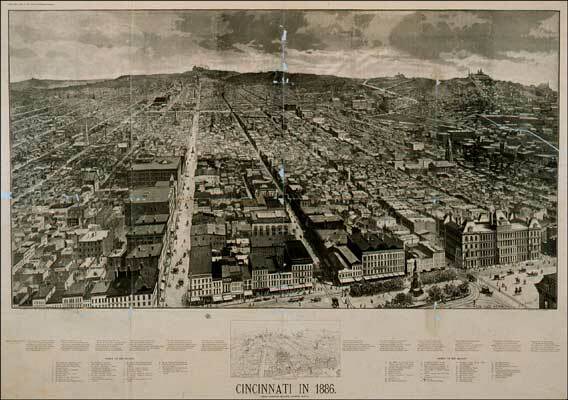 / Cincinnati in 1886. / From Fountain Square, Looking North. C. A. Fries, Delineator. Engraving. 1886. Image: 22 x 40.5 in (55.9 x 102.9 cm). Sheet: 32 x 44.5 in (81.3 x 113.0 cm). Cincinnati: Cincinnati Illustrated News. Rare Books and Special Collections Department.